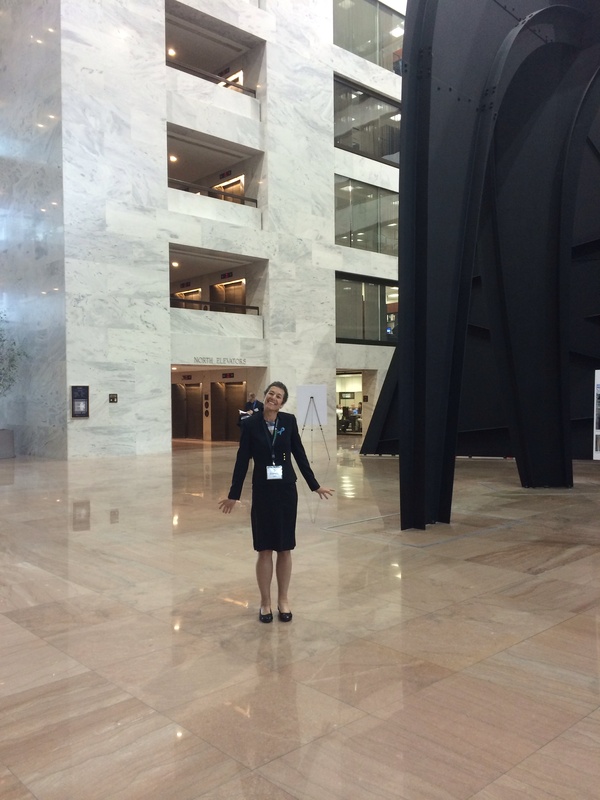 So, I spent a good chunk of last week as a patient advocate for my rare disease. It felt good to contribute and it was a good distraction. I needed one. Because I always get really nervous the week before I run a marathon! 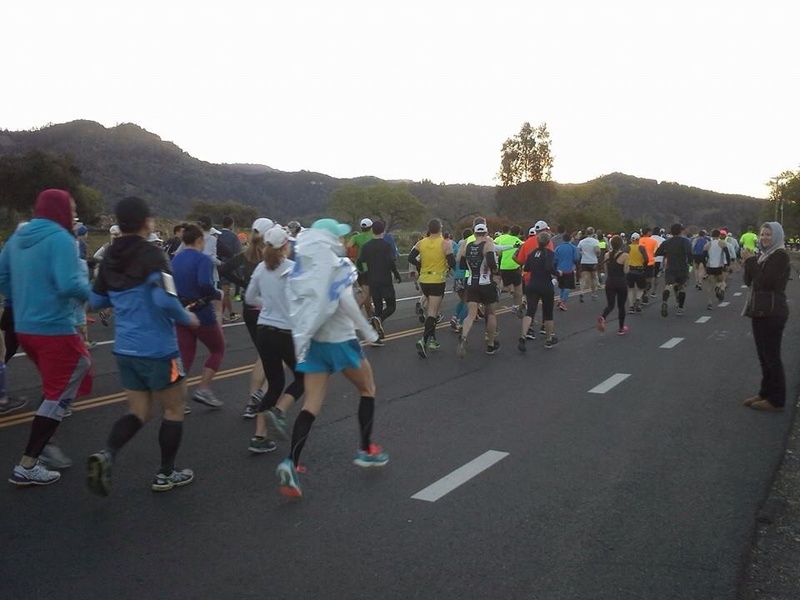 After sweating out every ache and pain, worrying about getting sick on the plane, and just making myself slightly crazier than I already am, I did actually make it to the start line in Sunday morning in the beautiful town of Calistoga. 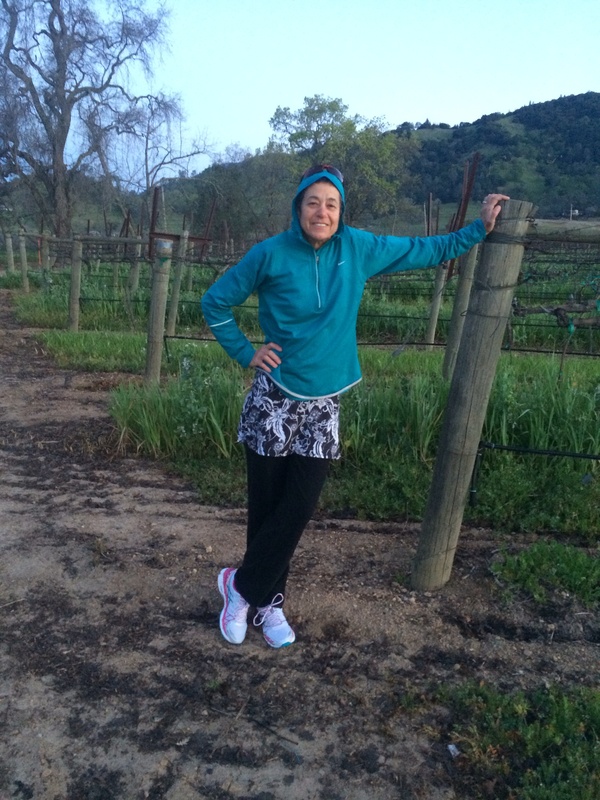 I ran, and so as not to keep you in suspense, finished the Napa Valley Marathon. Yes, 26.2 miles. I can truly say it took a village. My husband, Howard, once again put up with my long training runs, even accompanying me on the bike to provide support. My coach, Andy, guided me through a well thought out training schedule and made sure I knew that he believed in my ability. My friends cheered me on. One in particular, Erin, provided the backdrop for the weekend, reserving an amazing place for us to stay and enjoy the whole weekend. And my kids….well, it was, “Where are you going now, Mom?”, when I left for the weekend. I don’t think my race was on their radar screen, and that’s OK! It was a tad chilly at the start as I contemplated removing my pull over and long pants. The start line was surrounded by vineyards, as was much of the course. Beautiful! And we were off! Sandwiched between two days of overcast, Sunday was a beautiful day! The sun was just rising and for a while it was blinding us as we headed down Silverado Trail. I really only had one thing on my mind, though, and that was 9 minute miles. 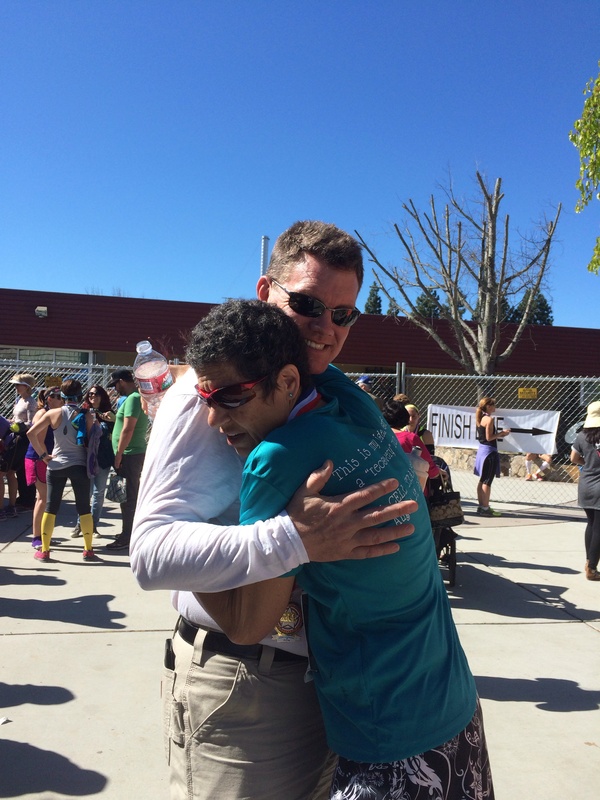 I began the race with the thought that running for four hours plus is a long time, but put in perspective: four hours is small amount of time compared to all of the hours of training. And if four hours was all that was between me and my goal, I could do it. I made the decision. The course was a little more ‘rolly’ than I had anticipated, but for the first 8 or so, I maintained a sub 9 pace. I could tell I was slowing as we got into the middle miles. As I crossed the one timing mat on the course, at 13.1, I was still very much in the game, at right about two hours. My goal? A 4:10. I wanted it very badly. I stayed on track, even as my pace slowed to around 9:30. If I didn’t slow too much, and could maintain a 10 minute pace through the last 10K, I could do it. 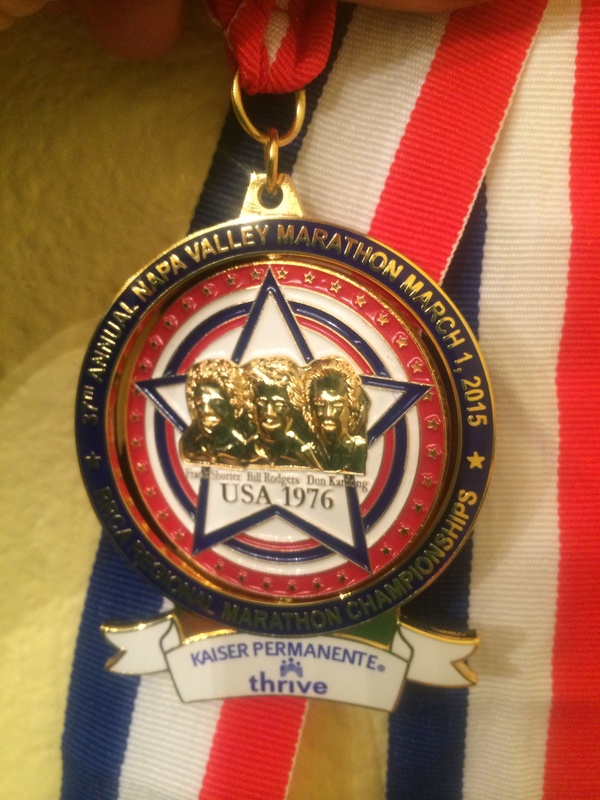 I had committed to it, but there just are not any guarantees in 26.2 miles. It wasn’t to be. It’s as if a light switch was flipped at about 19 and I couldn’t push anymore. My 4:10 turned into a very long 4:41. I knew there were people waiting at the finish that were probably starting to worry. But it wasn’t a choice at that point in time. I simply didn’t have it in me that day. I could say it was heartbreaking, but it wasn’t. Heartbreaking was last year, when I was training far better than this cycle and I didn’t get to run because of my injured hamstring. In spite of how disappointed I was, and how much I had wanted that 4:10 to qualify for Boston, at least I had gotten to try! I failed in one sense, but I am incredibly grateful to be able to cover this distance just 6 months and 10 days after my transplant. Any way I look at it, it’s a PT PR. 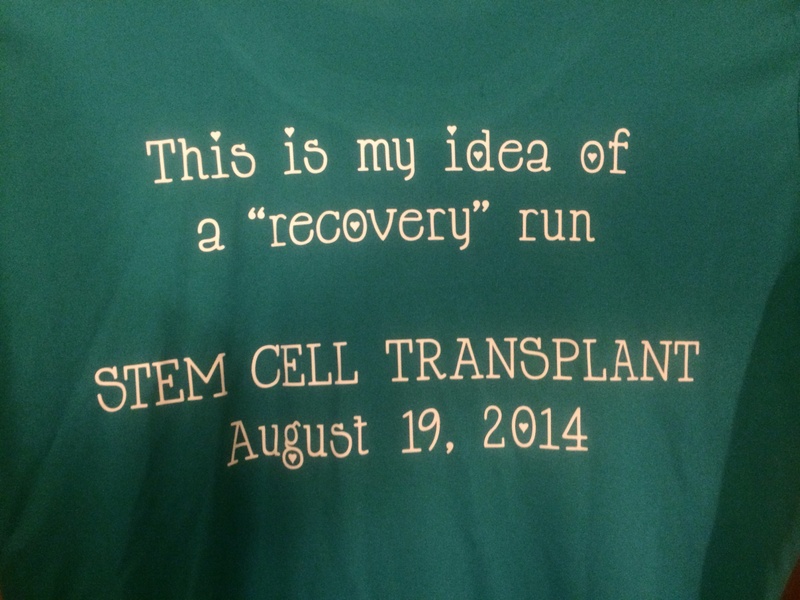 ( Post transplant personal record) Not that I want to use any excuses for not achieving my goal! I will work hard and I will try again. But if I gave one person hope for what is possible after an SCT, then each of the 281 minutes and 10 seconds was worth it. I love this guy, he’s always proud of me. Yeh, this one means a lot to me. And now for something a little different. About a month ago, I was contacted by a friend of mine in the Amyloidosis community, who is also on the board of directors with the Amyloidosis Foundation. 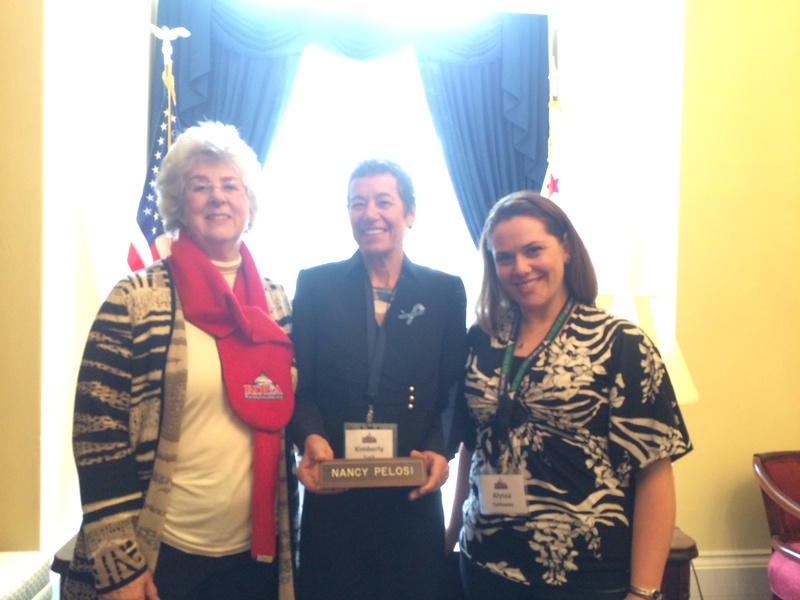 She asked if I would like to go to Washington DC to attend Rare Disease Week as a patient advocate. I couldn’t say yes fast enough! I had been hoping to be able to contribute to our cause and this would be an excellent opportunity. And I would get to go on a trip! That week was last week, from the 23rd, through the 26th. 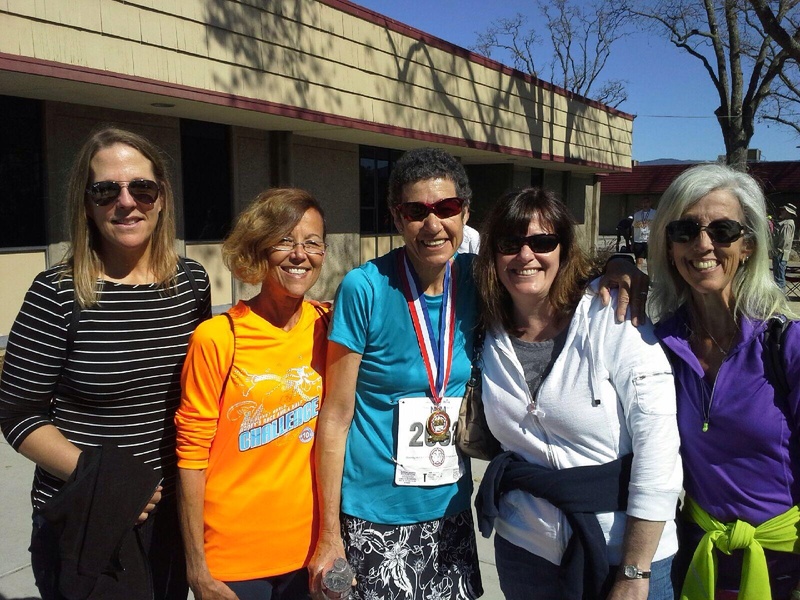 There were five of us from the foundation: Len, Isabelle, Mary Ellen, Dena and me. Len, Isabelle and I all were patients. Dena and Mary Ellen have lost loved ones to the disease. We also spent a lot of time with Spencer, who works for Prothena, a company working on the development of a new drug targeted at Amyloidosis. 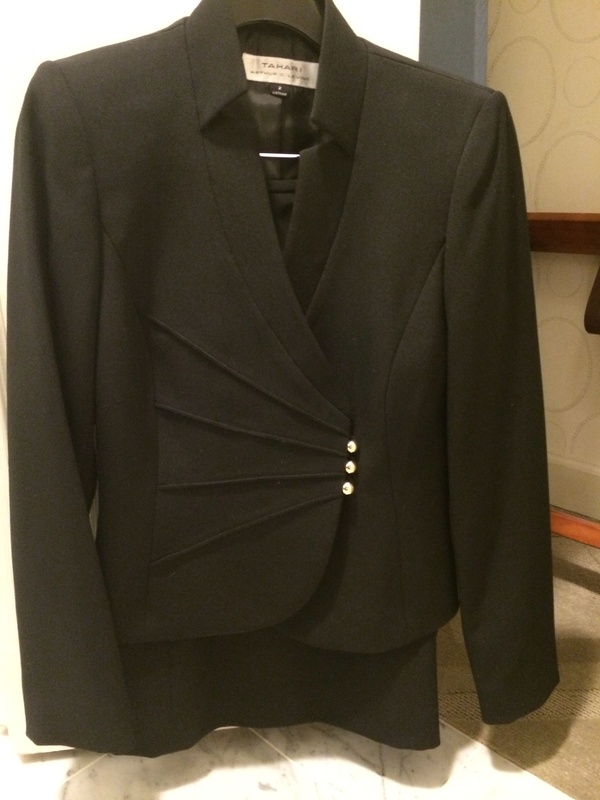 This, above, is a suit. I scoop litter boxes for a living, so I have never owned one. But I went out and got one! We arrived on Monday and attended a cocktail party and a screening of the film, “Rare”. On the schedule for Tuesday was a legislative conference with all kinds of information on what we would doing on Wednesday, which was “Lobby Day”. It was packed with details on the legislative process, new bills being introduced in the House and all about interacting with those in Congress. That meant I needed to get my Tuesday run in early. The coffee in the lobby was not available until 6:30. I did not get on the treadmill until 7. No, that’s not that early, but it was 4 am California time and I’m not even sure I was awake yet. The streets were too icy for me to have safe run, I figured, so I got my 4 miles in the hard way! Wednesday was an amazing day! I had no idea how many buildings there are that house the offices of our Representatives and Senators. We had six meetings with staffers. While we did not meet with any of the actual elected representatives, their assistants did seem to take a very real interest in getting the word out to their bosses. The purpose of our meetings was to share our personal stories and ask that they support legislation that supports getting new drugs to the marketplace. There are many roadblocks to getting new drugs developed and put into use for rare diseases. For example, often a large number of patients is needed for clinical trials. It can be next to impossible to find enough people who qualify for a trial when you have disease that affects only a very small percentage of the population. Yet, together, we were strong this week! While we were all representing diseases that are rare, together these diseases affect a lot of people, as there are over 7000 rare diseases. This affects 30 million people! One in ten Americans! From left to right: Dena, me and Allyssa, who was representing a type of muscular dystrophy. We were waiting for Nancy Pelosi’s staffer. I was nervous at first but I quickly relaxed after the first meeting. I like to share my story and if there is one thing I’m an expert on, that’s me. So, I had nothing to worry about. In the Hart Senate Building, where Barbara Boxer’s office is. On Thursday, I had most of the morning free, but I did have another running assignment to get in. I had noted on Wednesday that there was not as much ice on the sidewalks as before, but I awoke Thursday to snow fall. I wasn’t sure what to do, but I had really wanted to get to the White House. 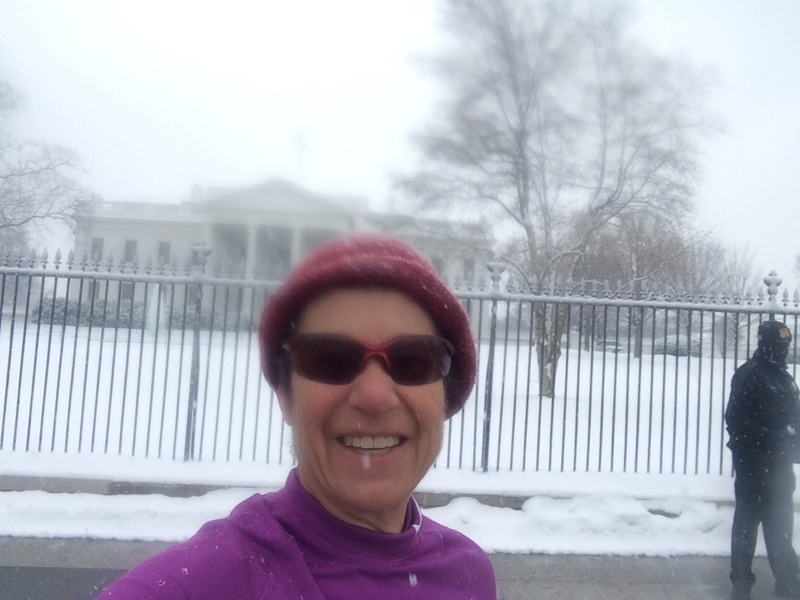 After assessing the conditions, I determined it should be any more dangerous than running in the rain, so I made a little jaunt to Barack’s house, which was less than a mile from our hotel. I finished the run on the treadmill, but I later regretted that I didn’t stay outside. It wasn’t that cold once I started to run and I was thinking I could have found a route with fewer street crossings. But it’s all good! Any run is a good run! We had one more meeting to attend during lunch on Thursday, and posed for a group pic with all the attendees of Rare Disease week. Then it was off the airport. It went by fast. It’s almost a blur now, but it was a fabulous time! And why my double life, you ask? Well, of all my experiences as a patient, this was a big event and just a few days later, I had another big event of a totally different kind. More on that tomorrow!